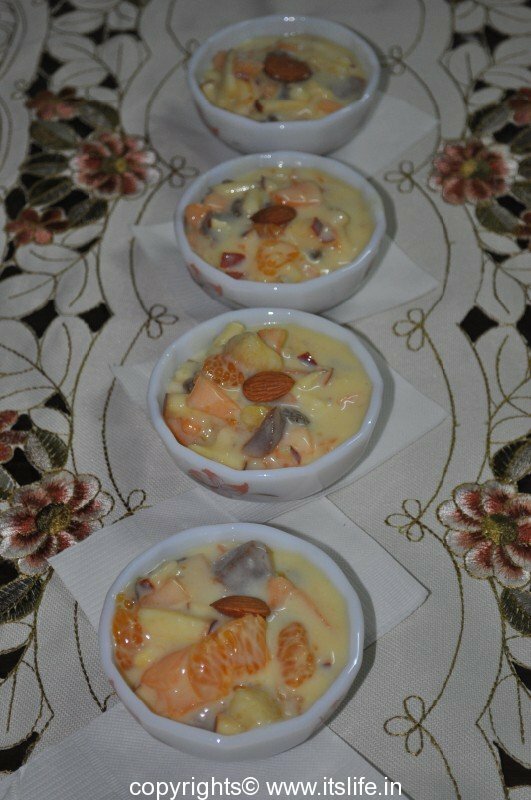 Fruit custard is a favorite while growing up. 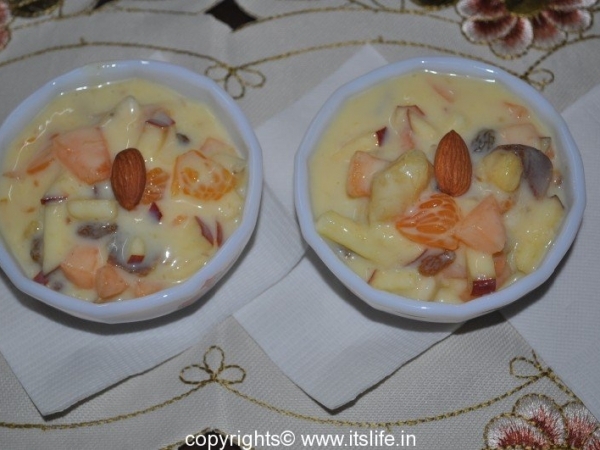 With Ice-cream it would be the must loved Fruit Salad with Ice-cream! 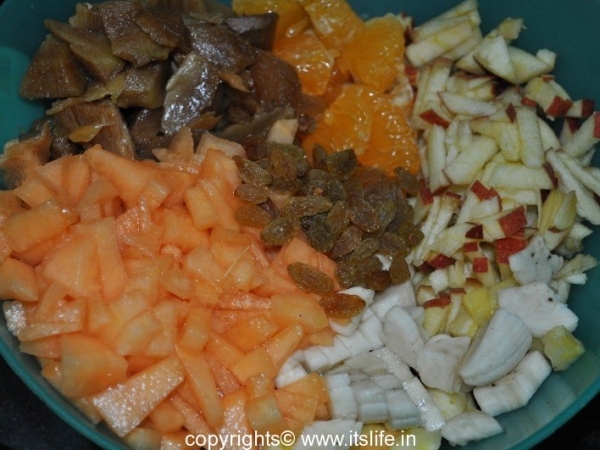 Chop Apple, Sapota and Banana into small pieces, slit grapes and cherries into two. 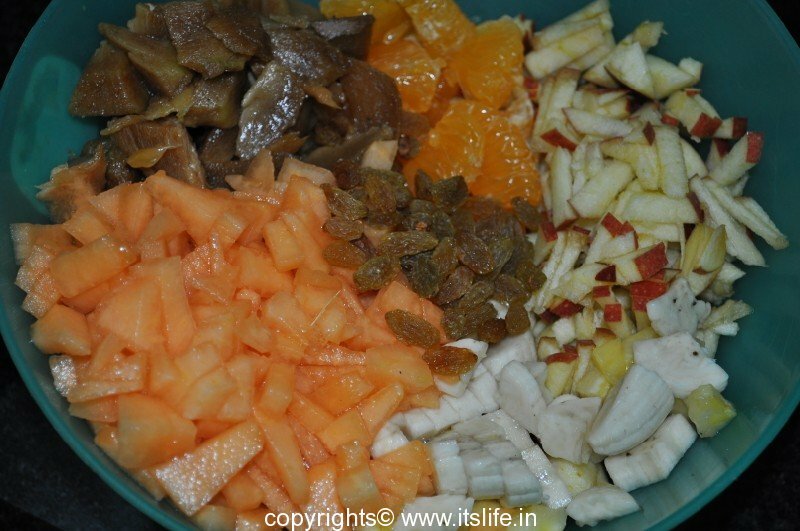 Peel the Orange segments. 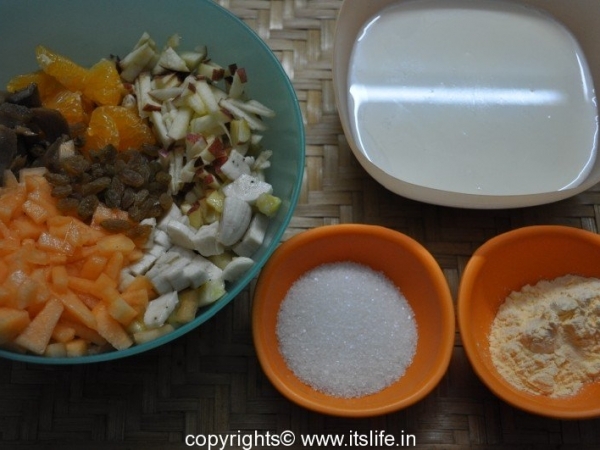 Mix all the fruits in a bowl and keep it aside. 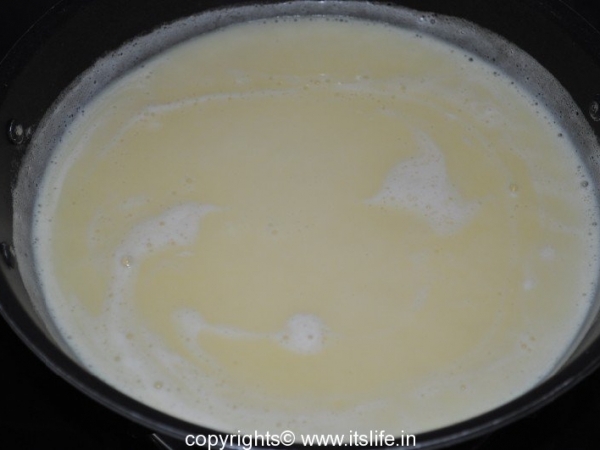 Boil Milk in a thick-bottomed pan. 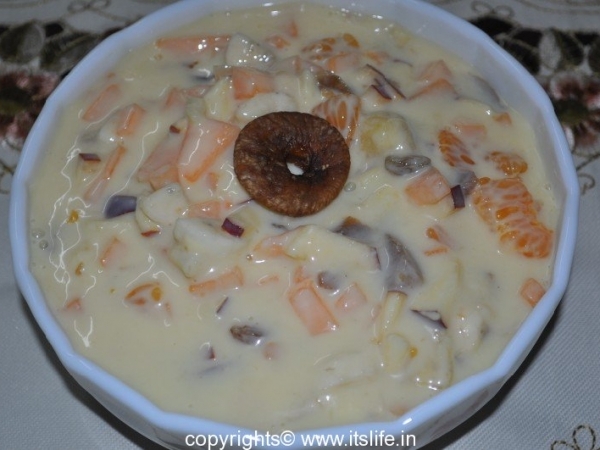 In a separate bowl mix the Custard Powder and 3tbsp Milk and add this to the Milk. 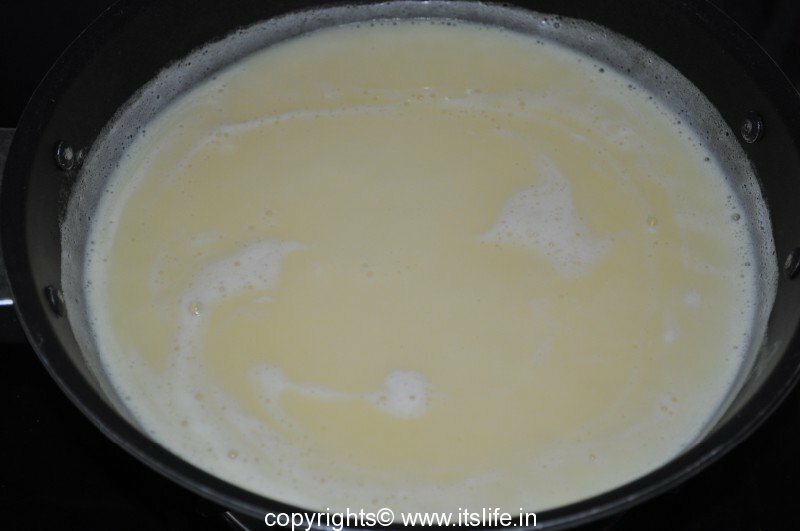 Add Sugar and cook, continuously stirring until the Milk thickens and the powder gets cooked. 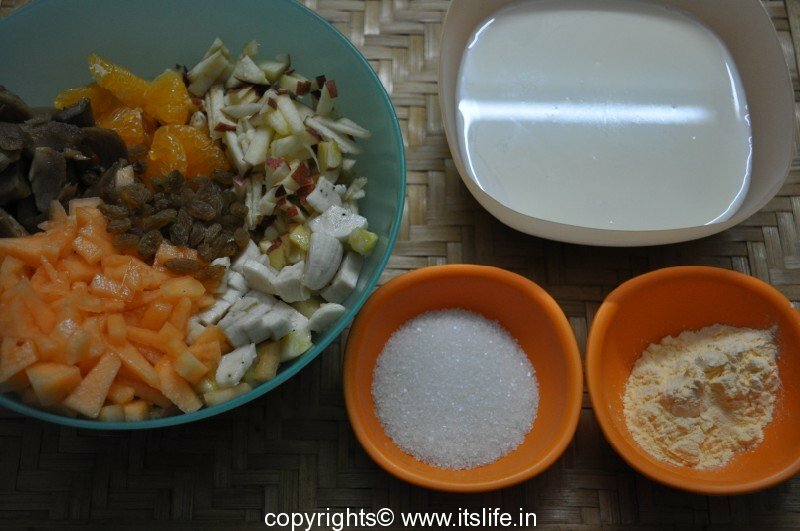 Remove from heat and let it cool. 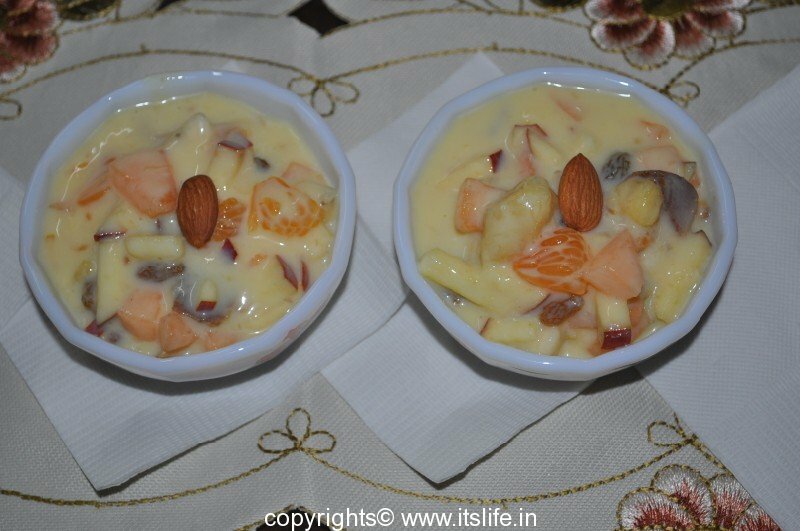 Add the fruits to the custard and mix well. 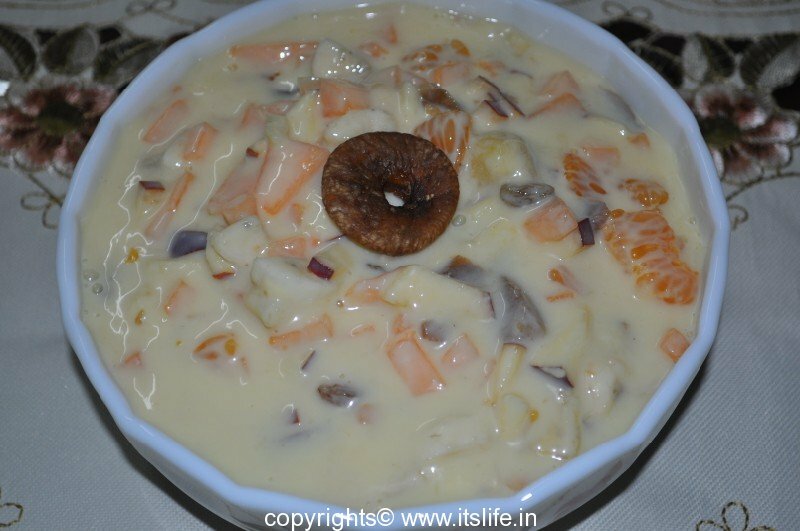 Chill for an hour and serve. 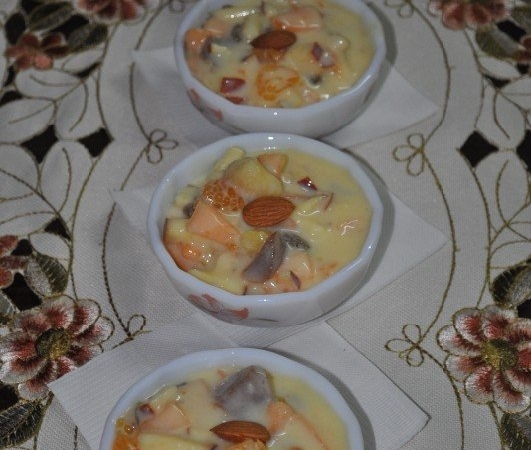 Fruit Custard can be served with a scoop of Ice Cream.